Thermal control involves minimizing the unavoidable heat generation resulting from the operation of electronic circuits and devices. Industrial applications specifically address thermal resistance, which is roughly analogous to electrical resistance as the rise in temperature per unit of power generated. Thermal control can use fans, which move air and heat within a given electronic system. Heat sinks can also be used. They are active or passive components. Active heat sinks use power and are usually a fan type or some other Peltier cooling device. 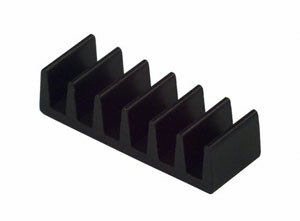 Passive heat sinks have no mechanical components and use a fin-shaped design that dissipates heat through convection.